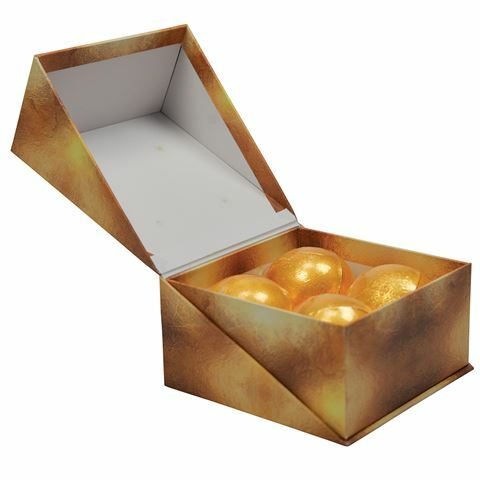 Enjoy some well-deserved pampering with the Pure Gold Bath Bomb Set. Perfect for treating yourself or that someone special, simply fill your bathtub with hot water, drop one bath bomb into the water and soon, the incredible aroma of honey and vanilla will envelop your sense. Crafted from sodium bicarbonate, citric acid, sodium sulfate and more. Scented with vanilla and honey. To use, fill your tub with water and drop one bath bomb in. Presented as a set of four in an AT gift box. Box Dimensions: 13.5cm (l) x 7cm (h) x 13.7cm (w).